Lithuania, the last Baltic nation outside the currency union, has finally been given the green light to join the euro area, after its bid was turned down 8 years ago. 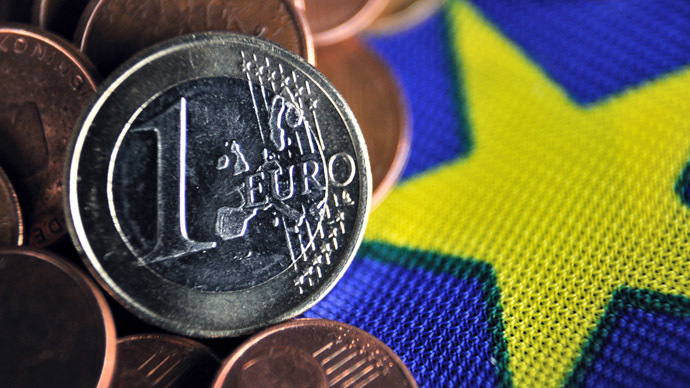 The country could adopt the single euro currency on January 1, 2015. The European Commission and the European Central Bank accepted Lithuania's application on Wednesday. “Lithuania’s readiness to adopt the euro reflects its long-standing support for prudent fiscal policies and economic reforms. That reform momentum, driven in part by Lithuania's EU accession ten years ago, has led to a striking increase in Lithuanians’ prosperity: the country’s per capita GDP has risen from just 35% of the EU28 average in 1995 to a projected 78% in 2015," Olli Rehn, the European Commission Vice-President responsible for Economic and Monetary Affairs and the Euro, said in the statement. The ECB looked at eight European Union countries - Bulgaria, the Czech Republic, Lithuania, Hungary, Poland, Romania, Sweden, and Croatia. Only Lithuania met all the criteria to join. Lithuania first applied for membership on January 1, 2007. It was rejected, as inflation was above the EU’s target by 0.1 percentage point, and expected to go higher. In 2008 it grew to hit 12.5 percent. The Council will make a final decision on the matter in the second half of July, after EU officials and state heads meet at the European Council from June 26-27. Then the council will also agree on a set conversation rate for Lithuania’s currency the litas to the euro. Eighteen countries already share the currency, a requirement for all member states except for the UK and Denmark. In order for a country to adopt the euro, it needs to tie its currency to the euro for a two-year period, as well as keep debt below 60 percent of GDP and inflation within 1.5 percentage points of the three lowest rates among the euro zone. The European Commission said that inflation, the key stumbling block to Lithuania joining the eurozone previously, has been overcome. In the 12 months leading up to April 2014, Lithuania’s average inflation rate was 0.6 percent, well below the reference value of 1.7 percent, and will likely remain below this level in the coming months, the ECB report said. Overall, inflation across the euro zone has been half the ECB’s target rate of 2 percent. The commission credits Lithuania for its triumphant return to economic growth after the recession hit in 2009, including its success in keeping its budget deficit and government debt ratio below ECB rates. On Thursday, the bank is expected to announce a widely anticipated interest rate cut, venturing into negative deposit rate territory, dipping below zero. The announcement is expected at 7:45 am Eastern Time. ECB President Mario Draghi, who has hailed the euro zone as an "island of stability" has said he will "do whatever it takes" to save the euro currency, which is weakening before the rate decision.